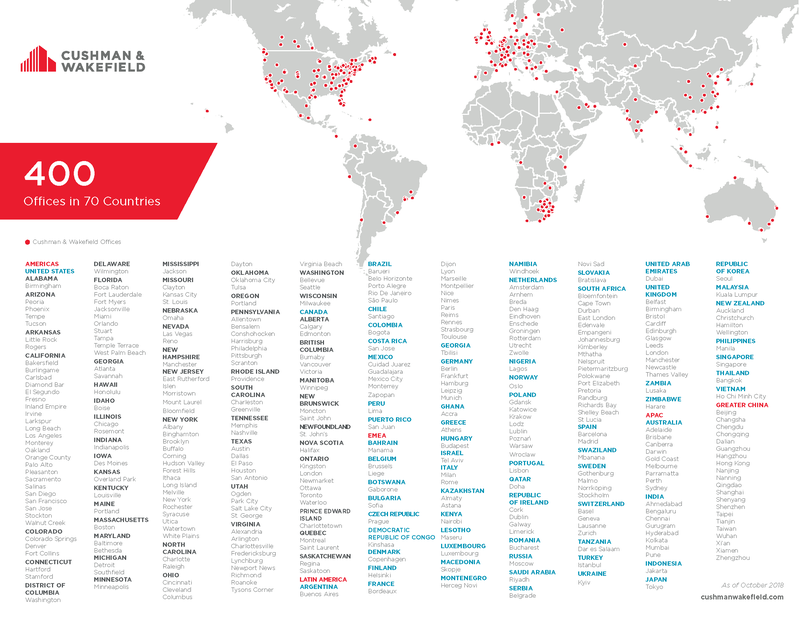 The Cushman & Wakefield Alliance is a fully integrated extension of the C&W global platform. It consists of specially-selected independent firms, who provide clients with extended geographic reach through elite commercial real estate professionals and high quality, comprehensive services. PIRES International is proud to be Cushman & Wakefield’s Alliance member for the El Paso, Texas and Ciudad Juárez, Mexico market. PIRES International is Independently Owned and Operated / A Member of the Cushman & Wakefield Alliance. Formed in 2002, the Alliance program was designed to expand service capabilities for clients in U.S. markets where C&W offices were not maintained. Operating as a unified team, C&W and the Alliance firms integrate the strength of local talent, relationships, and market intelligence with the full capacity of C&W’s resources and platform.